Ground Handling International was launched in 1995 and since then has been regularly delivering up-to-date information to all those who are involved in the ground handling business. With a readership that encompasses handlers, airlines and airports, along with GSE manufacturers, IT specialists and many others who are connected with the ramp, it is able to bring to the sector an unparalleled depth of experience. Copies of Ground Handling International are sent out to readers on a personal request basis and each issue is read by key industry decision-makers who are specifically involved in delivering ground handling operations and related services. Ground Handling International has over 8,500 registered readers spread around 200 countries worldwide. These readers are key decision makers, responsible for buying aviation services or equipment. 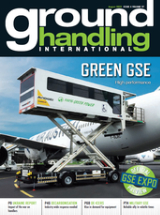 Ground Handling International has a long-standing reputation for editorial excellence and is acknowledged as the leading magazine for the latest news and coverage of what's happening in the areas of passenger, ramp and cargo handling. Considered by the industry's decision-makers to be essential reading, Ground Handling International is frequently cited as reference material. In addition, the magazine hosts a number of Conferences across the globe in Europe, Asia, Africa and the Americas; as well as an annual Ground Damage Stakeholders’ Conference aimed at improving safety on the Ramp. Supported by those seeking to promote their products and services, Ground Handling International provides a formula that allows for a spectrum of different types of marketing opportunity, ranging from on-page display through e-mailed broadcasts to material posted on the magazine's website. With a global reach, a guaranteed circulation through an annual ABC audit and a reputation within the marketplace that is second to none, can you afford to miss a copy? Keep ahead: keep reading Ground Handling International. Ground Handling International is an independently audited magazine, audited by ABC (the Audit Bureau of Circulation) which guarantees the circulation we promise. Advertisers need to be sure they are getting the best possible reach for their valuable budget. GHI delivers this, and our ABC audit confirms our readers request their copies of GHI.